Amazon wouldn't say if it plans to add the benefits to Whole Foods stores in Canada and the United Kingdom. In bringing Prime to Whole Foods, Amazon is trying to give members another reason to stay on as subscribers—even as it raises the price—and try to lure those who aren't to join. The discounts could also drive more people to shop at Whole Foods: When it offered turkey discounts last year for Prime members, Amazon said the grocer broke its record for turkeys sold during the Thanksgiving season. 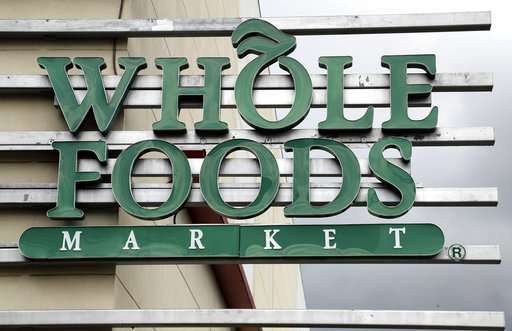 The online retailer has made a number of changes to Whole Foods since it bought the chain last year. It cut prices on bananas, milk and some other groceries; extended its 5 percent cash back Amazon rewards credit card to Whole Foods purchases; and has started to offer two-hour grocery delivery in several cities through its Prime Now service. Whole Foods ended its previous loyalty program earlier this month, and Amazon CEO Jeff Bezos said in April that "technical work" was being done at the cashiers to recognize Prime members. Amazon said Wednesday that shoppers could scan the Whole Foods app at the register or give the cashier their phone number to show that they're Prime members.